I was reading some blog posts yesterday and one of the commentators asked another if he had prayed about a particular situation going on at his church. She wasn’t seeming to say it in a “jesus juke” fashion of trying to make him look/feel bad or in a way that said look at me the better Christian, but in a real, practical and honest way. It struck me at the time and I read the comment again. It began to challenge me as we live into the present and future of our personal lives, families, ministries, vocations, churches, etc. Have we – several times a day – intentional asked God to show us and lead us and guide us? I admit that I am better at that sometime than others. I try to read my email version of the Upper Room when I get to the office every morning and I am one of those sometimes rare people that really like Christian music so I often listen to it in the car. I often have a pretty good indicator on how I’m feeling in connection to God by how often I steer clear of the Christian music stations or how often I just skim or delete the devotional. It’s not that I’m intentionally saying – I want some distance between me and God right now. But whether I articulate it that way or not, in many ways that’s what I’m doing. For me, when I realize that there’s some space there, it’s gut check time. What’s going on that I’m not acknowledging? What’s my hesitation? Why am I not sleeping at night? In our lives right now we’re busting at the seams with worries. We’ve been getting moving estimates this week and juggling boxes, pick up times, and delivery is awesome. The kids have a two week break between the end of their preschool regular school year and the first summer session and Enoch asks every day why I can’t stay at home on vacation and not go to work. Enjoying the kids for two weeks while keeping the house clean and spotless and ready for someone to do a showing – super stressful. Wondering if people will see the house and want to buy it or if we’re going to juggle payments or end up renting – not for the faint of heart. Realizing that I only have a couple more weeks in the office to get everything settled here and to be emotionally, spiritually, and physically ready to begin a new adventure – baby steps. But I know that we don’t go into this alone. And I know that we are not helpless in facing life’s joys and challenges. Sometimes I just want to avoid the weight of the pressure and the huge emotion that goes with being personally invested in this crazy ministry that has been more than a job or a ministry but a home and community for over a decade. Yet God is there, waiting and ready to offer what I need. A random facebook comment to point me in the right direction. Jars of Clay’s “Shelter” coming on my itunes reminding me that “in the shelter of each other is where the people live.” So instead of ducking my head in the sand and being in denial for a bit longer, it’s time to make a list of prayers. Not worries. But prayers. That I will intentionally pray for throughout the day. 1. That our house sells. 2. The Enoch will love his new school and that he will have a great teacher and kindergarten class. That he will make friends and that he’ll continue to do well with his speech and language since he had a delay and worked super hard here so won’t do speech in Florida. 3. That we’ll find a good preschool for Evy and that there will be room for her to join one of the classes. That she’ll make friends and will continue to excel at school. 4. That the actual move will go well. That the estimates are not too crazy much. That everything gets there and transporting us, the kids, the cats and everything else will go well. 5. That Mike will find a church music job and can do what he’s passionate about! There’s more but I’m sticking with this list – Mike, Enoch, Evy, House, Move, the two Wesley’s. God help me to remember to come to you and to seek you. Help us to remember to open ourselves to your Word for us and that we can urgently come to you in prayer. Amen. One of my absolute favorite parts of being able to advocate for campus ministry for two weeks at General Conference 2012 was getting to know amazing campus ministry colleagues from around the connection as we lived together in two homes in Ybor City. First of all, if you’re with people for 24 hours a day for two weeks – eating together, sharing living space, driving back and forth together, taking breaks together – you get to know them really well. In the midst of legislative committees and watching debate you find out really quickly where people stand. We had specific legislation that we were tracking that related to campus ministry and advocating was a lot of what was on our agenda as members of the United Methodist Campus Ministry Association (UMCMA). One of the other things that was a goal of ours was to make campus ministry visible and to tell a positive collective story. We did this by handing out awesome buttons, cards, creating a prayer station for delegates, helping staff “Higher Education and Ministry night,” and overall telling the story to anyone we saw. When we first arrived at the Tampa Convention Center we were constantly being stopped by someone that one of us knew. I might not know that person from Cal-Pac but chances are that Rob or Alissa did. I might not know that person from Iowa, but there’s no doubt in my mind that West and Paul did. By ourselves we have our own contacts, but together we handed out buttons to people from all over our church. It was amazing sharing in the Monday night Higher Ed reception and getting to talk to our African brothers and sisters about campus ministry, while spreading the word about all of the critical and necessary work that our general agencies do on behalf of those of us that don’t look quite like a typical local church. Our collective voice is so much stronger when we come together. This is not to say that we didn’t have some disagreements. I realized quickly those first few days in the house that I was the only one from the SEJ (Southeastern Jurisdiction) or SCJ (South Central Jurisdiction) and we are not always the rest of the church’s favorite group of people. Yes, my name is Narcie and I’m a member of the SEJ but I don’t want to squash your voice, I’m not an old white man, and I can jam and have a good time right along with the rest of you. Just having that back and forth dialogue about perceptions was critical in all of us knowing and understanding each other better. I’ll never forget Alissa, a Clairmont graduate, and Richard, an Asbury graduate, getting to know each other and bonding saying that they should stand up on the floor of General Conference, say where they went to seminary and that they are friends, and then drop the microphone. I’ll never forget my mom as I drove her to the airport saying that getting to know everyone and talking to everyone helped her understand so much more about campus ministry and our connection, and her then sharing that she now understood why sometimes people look at our name badges that say South Carolina and they don’t have the happiest look on their faces. You see as we all have learned, have said, and know it to be true that – it’s all about relationships. It’s a heck of a lot harder to try to demonize someone if you’ve shared a meal with them. It’s a heck of a lot harder to shut your ears and ignore someone if you’ve been living with them for a week and you have a whole other week to go. 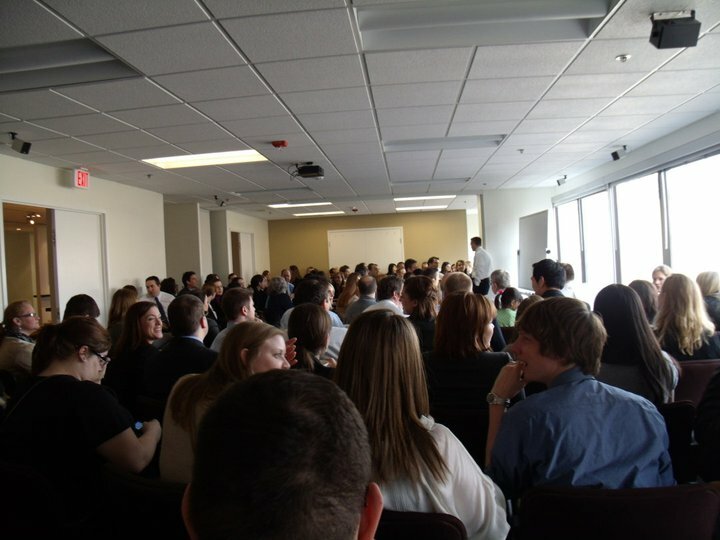 The reason we handed out so many buttons and had voices at many of the tables is because we had formed relationships with many of these people and in our crazy world of Methodism there’s not many a time when you can’t figure out some kind of connection with someone. That’s one of the beauties of campus ministry – we know it’s all about relationship. We know that this most sacred “work” and journey comes out of community. We have seen students that fundamentally disagree with each other on many levels come together around the communion table. We have seen people join together in a common cause whether on a mission trip, local service, or outreach. We know that’s where transformation takes place. So those two weeks – although they were crazy and I still have a hard time articulating the insanity – were a gift. They were an absolute gift from God. Because whether we agreed or disagreed or whether our “side” won or lost, we all came together at the end of the day as one and we all were hopeful and ready to start the next day as we piled into the cars to head back over. My campus minister during his retirement speech said that the only way to live life is in community and I couldn’t agree more. What if instead of living out of hotel rooms for two weeks, delegates lived in community with each other or with others in the local community? What if instead of just sitting at tables together and making quick introductions, committees and sub-committees actually shared meals and got to know one another before lines are drawn? What if we could re-create the schedule of General Conference completely and the focus not be on the “business” but on building relationships with one another so that the work and ministry flowed naturally out? 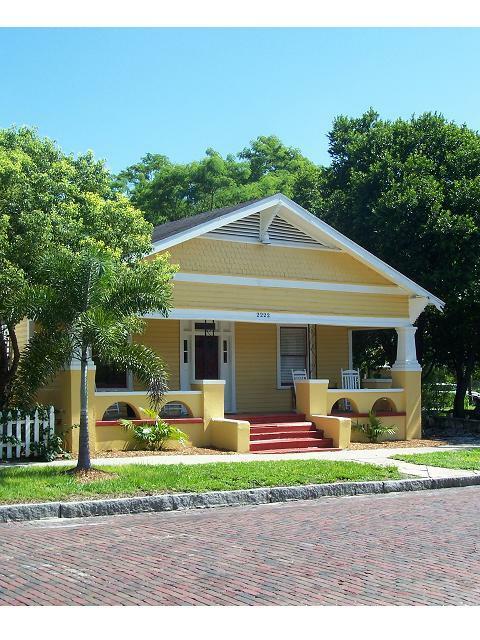 I hope that the community built in two lovely little homes in Ybor continues to bridge into the rest of our church. I know one thing for sure – we’ll be getting some houses for Portland. After this special time with colleagues and the perspective of being a little bit out of the bubble – I wouldn’t have it any other way. After spending two weeks at the United Methodist General Conference in Tampa, Florida, I took a much needed date night with my husband on Monday night. We watched The Avengers. And because my brain is still in United Methodist land after two intense weeks of watching, listening, tweeting, and engaging – I couldn’t help but think about GC2012 in light of The Avengers. 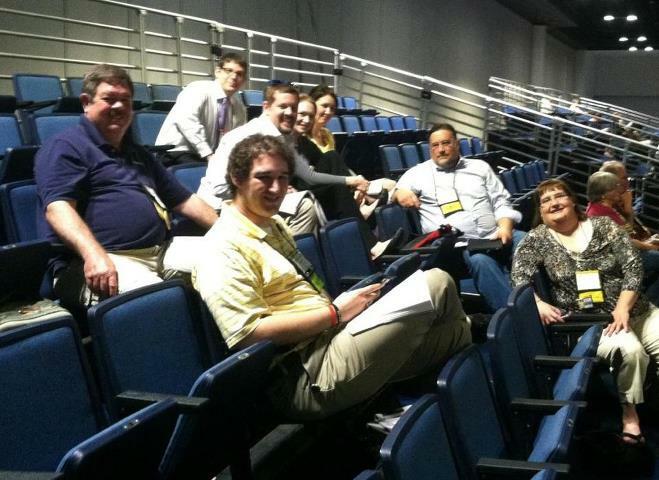 While at General Conference I had many a friend and colleague talk about GC2012 in relation to The Hunger Games. And I get that. I get that in some ways it seemed like people were just out for themselves trying to slaughter the opponent so that they could move on to be the victor. I get that those references came from a place of frustration, of anger, of fear, of disillusionment. One of the joys of this General Conference was the effect of social media and multiple voices being lifted up in a type of call and response. It was powerful and gave great voice to many. But in kind, one of the great hurts of this General Conference was social media. It’s easy to be snarky and give one-liners when you’re not face to face with people. And it’s easy to jump on the wave of criticism and complaint even in the midst of prophetic voices as people sharpen their favorite knives of choice. 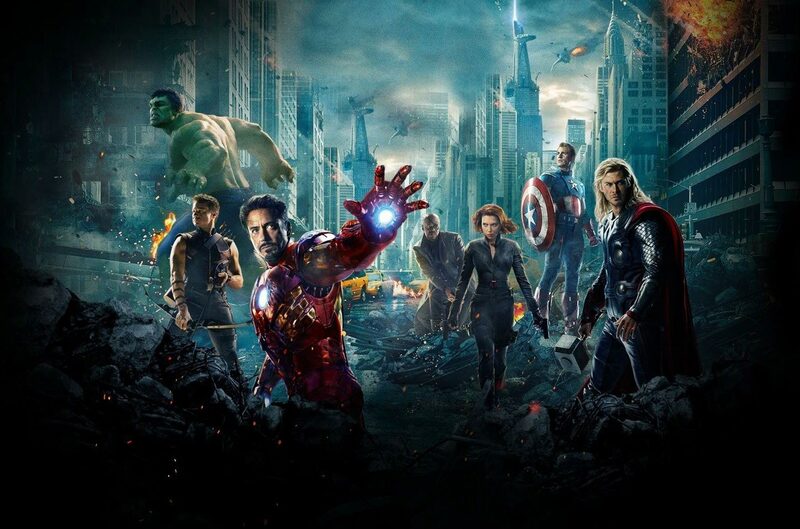 Part of the beauty of The Avengers is that they’re all superheroes in their own right. They’re each bringing gifts to the table. The hard part is to get them to work together, valuing not just their own power/place in the world. In describing General Conference to a clergy friend this morning, it’s hard to explain. There were times when you could visibly see the presence of God and the beautiful tapestry that is our church. There were other times when there were so many power plays and undercuts and self-interests that it was hugely discouraging. It’s not that they lack conviction, it’s just that they’re not on the same page because they’re bogged down in their own egos, opinions, hang ups, and contexts. No matter which restructure plan you were for, where you stand on language on homosexuality, or your thoughts on pension, guaranteed appointment or a set-aside bishop, there’s no doubt in my mind that the people at General Conference love The United Methodist Church. There would be no reason to come and be in the hard work of holy conferencing if you didn’t care. Whether we agree all the time or not, whether we acknowledge or gloss over some of our divisions and cracks, whether we shout and point fingers or just wash our hands of it, we should all be committed to at least some of the same things. I don’t like using soldier/fighting language, but what united the Avengers, was a common cause – something they each believed in as a whole. What are those things that hold us together? Do we believe as Wesley said, “In essentials, unity…in non-essentials, liberty…and in all things charity.” What are our essentials? I know it may be a crazy place to find hope, but watching The Avengers made me feel a lot more positive about the future of our church – and more than that – the kingdom of God. Over the past four years we’ve heard a lot about death tsunamis, the cancer of the church needing oncologists to come in and diagnose us, and other doom and gloom, and I don’t know about you, but scaring people and taking our ball and going home has never worked to inspire people in my mind. My dream for the UMC is that we don’t spend the next four years wringing our hands and talking incessantly about our decline or the lack of relevance, but that we actually start preaching and living the Gospel and let the rest come. It can’t just be a structure for a few big church pastors or vocal bishops or a handful of radical church plants or even awesome campus ministries that try to “save” our church. It has to be each of us – each pastor and lay person – not just looking out for our own interests or own needs, but actually living as Christ in the world. So maybe you’re mad about how things went down at General Conference this year. Go for it. The whole add a sticker to the 2008 discipline that says “2012” is funny and snarky and there’s a bit of truth in there. Use that frustration, disillusionment, and unsettled feeling to get started with you. Don’t just point at particular conferences or jurisdictions or parts of the world and lift them up or tear them down. Start with you. Because we each have a common heritage, not just as United Methodists, but as children of God. Sometimes this heritage calls out for prophetic witness and sometimes it calls out for some non-negotiables, but even in the midst we have to remember the things that unify us. And we can’t just wait for the general church to give us permission to grow because of the latest nifty research or plan. May we come together as one – all of us – with our gifts and graces and instead of hurling critique and distrust may we be intentional in actively asking the Holy Spirit to pour down on all of us – our communities, our churches, our world. May we unite not just against a common enemy, but for a common purpose.